In everything it does, from product design to business deals, Apple strives for as much control as possible. SAN FRANCISCO (AP) — In everything it does, from product design to business deals, Apple strives for as much control as possible. But as the world's most valuable company sets out to define and dominate the rapidly evolving markets it created with the iPhone and iPad, Apple is likely to face antitrust regulators who want to curb its power. 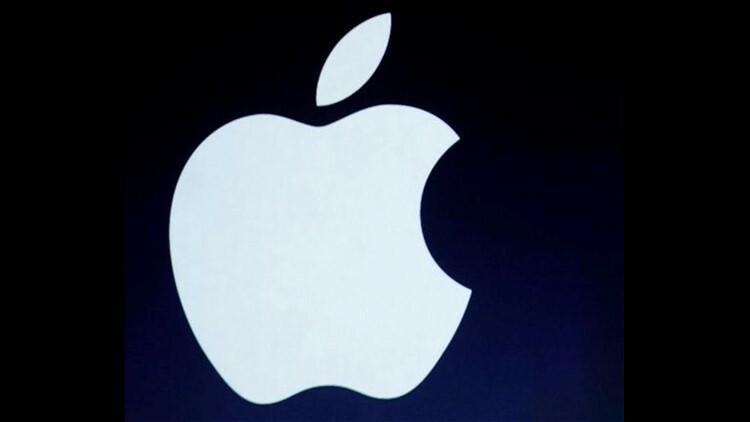 Apple's clout is coming under scrutiny as the U.S. Justice Department considers filing a lawsuit against the company and five U.S. publishers for an alleged scheme that has driven up the prices of electronic books since the 2010 release of the iPad. The involved parties are trying to avoid a high-profile court battle by negotiating a settlement, according to The Wall Street Journal. The newspaper broke the news last week about the U.S. Justice Department's plans to allege that Apple Inc. and the publishers orchestrated the price-fixing scheme to thwart the e-book discounts offered by Amazon.com Inc.
"I think this might be a bit of a wake-up call for Apple," says Ted Henneberry, an antitrust attorney for the Orrick law firm in Washington. The e-book case demonstrates the market leverage Apple has gained from its system of Internet-connected devices that tie into iTunes, its digital marketplace for mobile applications, books, newspapers, magazines, textbooks, movies and music. "That platform has become really essential for a lot of people," says David Balto, an antitrust attorney who was a Federal Trade Commission policy director during the Clinton administration. "Apple clearly has gained a lot of power in a number of markets." Apple has sold more than 315 million iPhones, iPads and iPods that run on its mobile operating system, giving it the keys to a market that will become increasingly influential as more people buy digital content for their electronic devices. Apple's success has transformed the company from a technology boutique to a trend-setting juggernaut in the past decade. Its annual revenue has soared from $5 billion in 2001 to $108 billion last year. About three-quarters of that revenue comes from sales of iPhones, iPads and iPods. The company, based in Cupertino, Calif., now has a market value of nearly $510 billion — more than Microsoft Corp. and Google Inc. combined. So far, though, government regulators haven't paid as much attention to Apple as they did to Microsoft during the 1990s and to Google during the past four years. Microsoft's efforts to maintain and increase its dominance of personal computer software provoked an antitrust lawsuit that unsuccessfully attempted to break up the company. Allegations that Google has been abusing its dominance of the Internet search and advertising markets have sparked wide-ranging government probes into the company's business practices in the U.S. and Europe. Apple may simply behave better than some of its rivals, or it may be doing business in areas that are so new that government regulators are still learning how those nascent markets function, says D. Daniel Sokol, an associate law professor who focuses on antitrust issues at the University of Florida. "To attract antitrust attention, you have to be more than just big. You have to be big and bad," Sokol says. "It was only 2007 when Apple released the iPhone, and only 2010 when it released the iPad. The company hasn't had that long to be bad yet, if it is indeed bad." Apple hasn't been flying completely under the government's radar. In 2009, the Federal Trade Commission opened an investigation into whether Apple and Google had been stifling competition by sharing two of the same directors — Eric Schmidt and Arthur Levinson — on their respective boards. That inquiry ended when Schmidt, then Google's CEO, resigned from Apple's board and Levinson, former CEO of biotechnology company Genentech, resigned from Google's board. In 2010, Apple, Google and several other Silicon Valley companies settled a Justice Department investigation into an arrangement that prohibited the employers from recruiting each other's workers. Apple, Google and four other companies, including Intel Corp., promised not to enter into any other "no-solicitation" agreements for five years. A federal lawsuit filed on behalf of the workers at the companies is still seeking damages. Government regulators in the U.S. and Europe are also monitoring Apple, Google and Microsoft for any sign they are wielding key patents to gain an unfair competitive advantage in the mobile phone market. Apple's stable of popular mobile devices and the conjoined market for selling digital content will become even more pivotal if the vision of the company's late co-founder and CEO, Steve Jobs, pans out. The way Jobs saw it before he died five months ago, technology is in the early stages of a phase that will de-emphasize the importance of personal computers running on Microsoft's software as people instead rely on sleek, highly portable devices that traverse high-speed Internet connections to fetch content and other files stored in far-flung data centers. If Apple fulfills its destiny as foreseen by Jobs, the company will dominate this "post-PC" era with its array of iPhones, iPads and possibly a revolutionary television set. Jobs hinted at Apple's looming breakthrough in TV last year during interviews with his biographer, Walter Isaacson. As it is, the iPad already has grabbed 62 percent of the tablet computer market, according to IMS Research. Even if Apple's market share grows larger, the company may be able to minimize its potential antitrust headaches by pointing to what should still be fierce competition in both smartphones and tablet computers, Henneberry says. For instance, more than 300 million devices are already running on Google's Android software, and major PC makers such as Hewlett Packard Co. and Dell Inc. are hoping to make a dent in the tablet computer market later this year with devices running Microsoft's new operating system, Windows 8. Apple has already girded for more government attention. At the end of 2010, it hired Kyle Andeer, a former antitrust lawyer for the FTC and Justice Department. Andeer became the first antitrust specialist on Apple's internal legal team. "Any big U.S. tech company understands that when they are successful enough to create and expand markets, they may get government scrutiny," says David Turetsky, an antitrust attorney with the law firm Dewey & LeBoeuf in Washington. "Apple is going to keep antitrust lawyers very busy for some time to come."